All white wedding flowers are a timeless choice for your classic Spring wedding and they are guaranteed to look beautiful. From your bouquet to your centrepieces, opt for soft white roses, Lily of the Valley or tulips. Spring is all about flowers, so it makes sense to use lots of floral decorations throughout your big day. 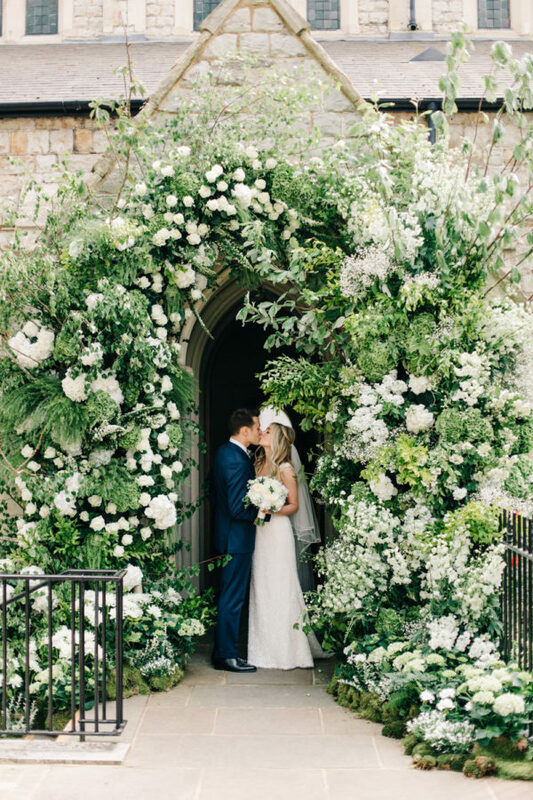 Floral archways can be used in lots of different ways throughout your Spring wedding. You can adorn the entrance of your wedding venue with an array of seasonal flowers or you can create a floral-inspired ceremony backdrop. 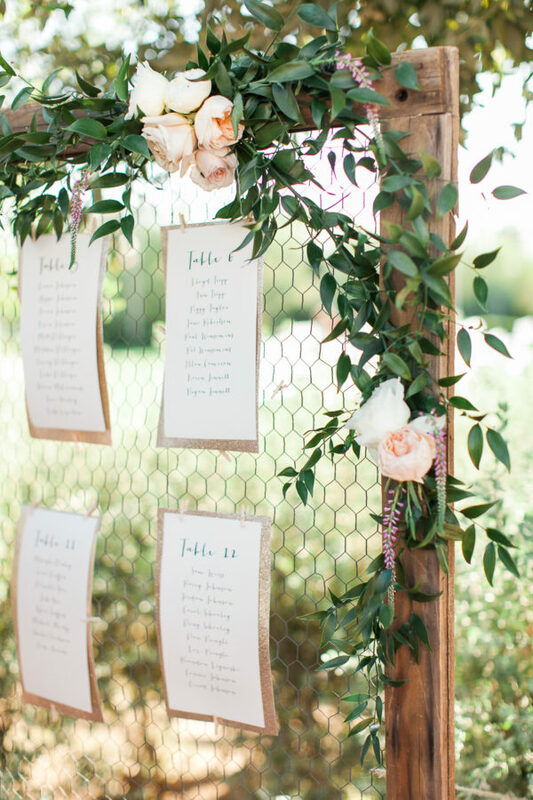 Show your guests to their seats in style by creating a Spring wedding seating plan. 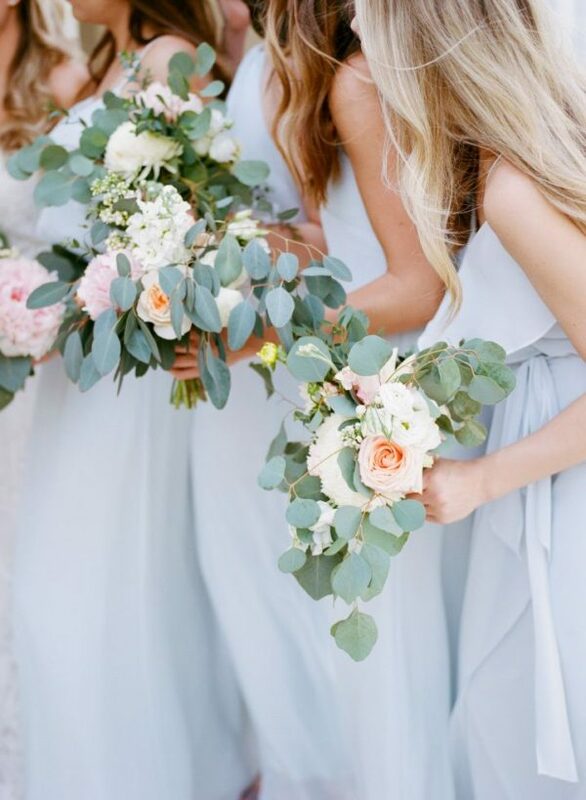 Opt for a pretty pastel chart adorned with lots of pillow-soft posies, we suggest matching the flowers to the ones you’ve used in your bouquet. If you’re a fashion-forward bride, why not rock something a little different for your aisle style? A coloured gown in pale peach or pretty blush would look utterly gorgeous for a Spring wedding. 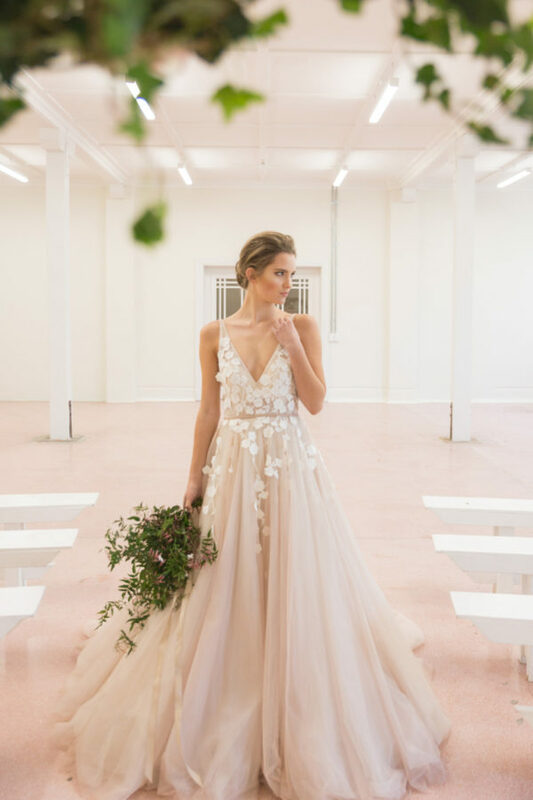 A wedding dress adorned with 3D floral appliqué is one of the hottest 2018 bridal trends and it’s the perfect fit for a Spring soirée! Spoil your guests with a scrumptious Spring wedding dessert table! 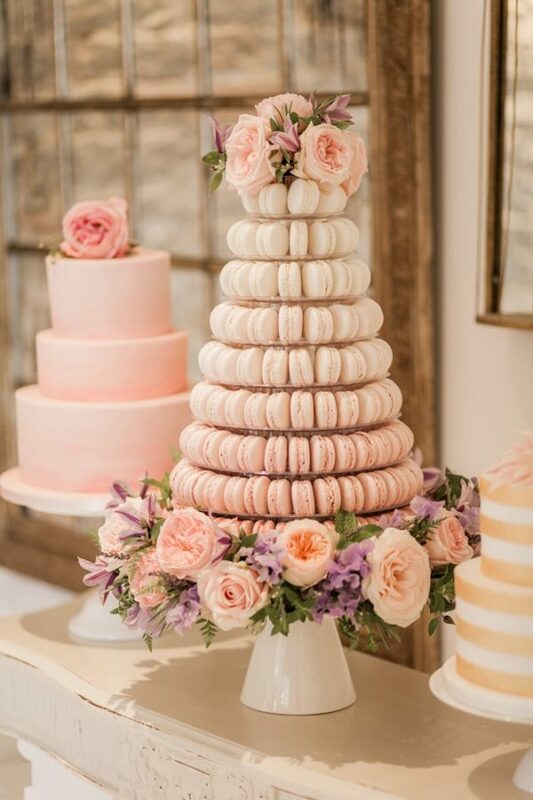 Make your wedding cake the main focus but treat your guests to an array of delicious delights such as cookies, cupcakes, macarons and more! Decorate your cake table with an assortment of flowers, table runners and candle sticks. 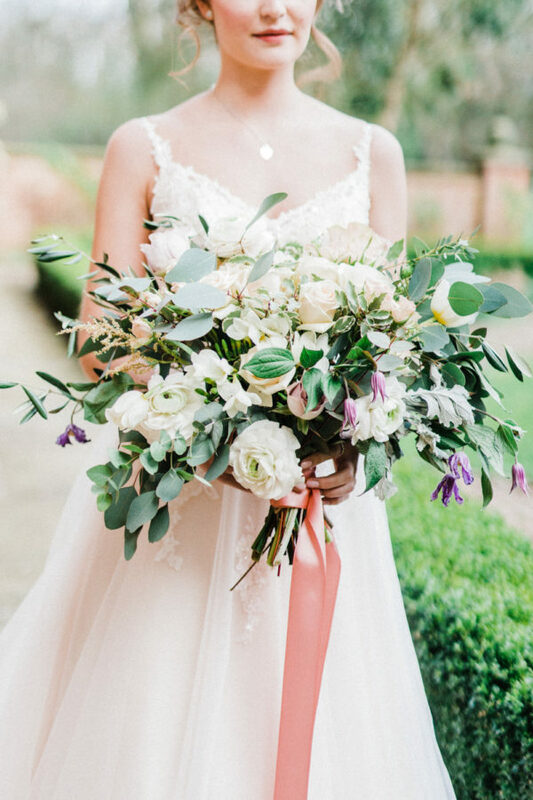 We are simply besotted with the thought of an oversized bouquet brimming with seasonal blooms! The wild, natural look is totally on-trend and you’ll be spoilt for choice when it comes to picking your posies. 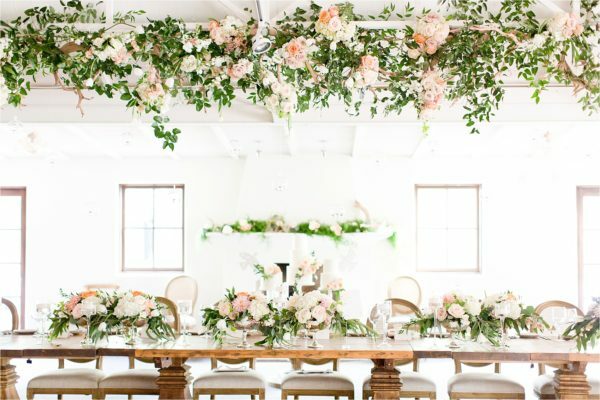 Hanging installations are another wedding trend that we’re seriously loving and we think it’s a fabulous option for a Spring wedding centrepiece. 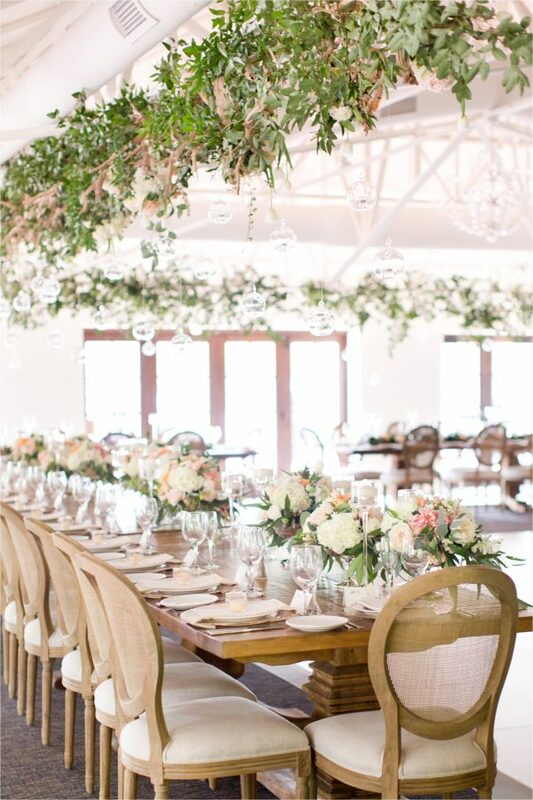 Ask your florist to create a stunning floral installation and hang it above your wedding tables. Not only will it look gorgeous, it will also save you heaps of space on your tables too! Work in fairy lights or hanging candles for an extra special touch. 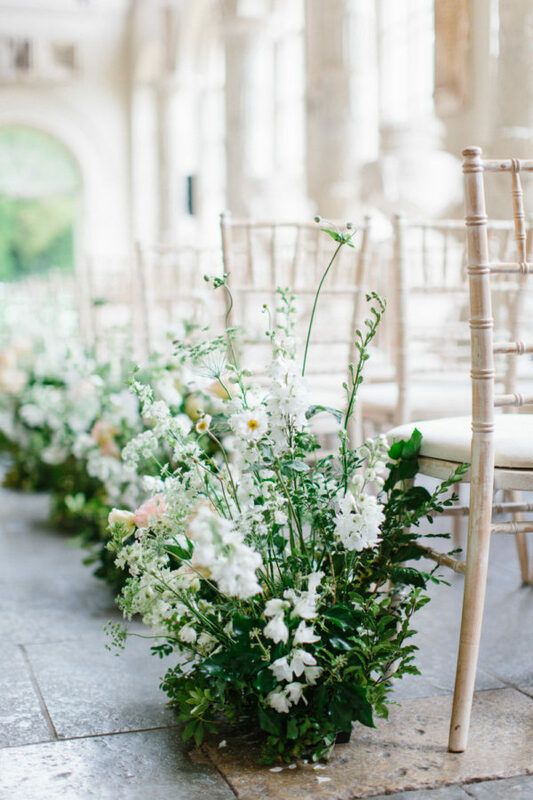 Add a touch of Spring to your wedding ceremony by lining the aisle with some pretty floral and foliage decorations. The addition of blooms will be a nod towards the season and it’ll create a truly special place for you to tie the knot. 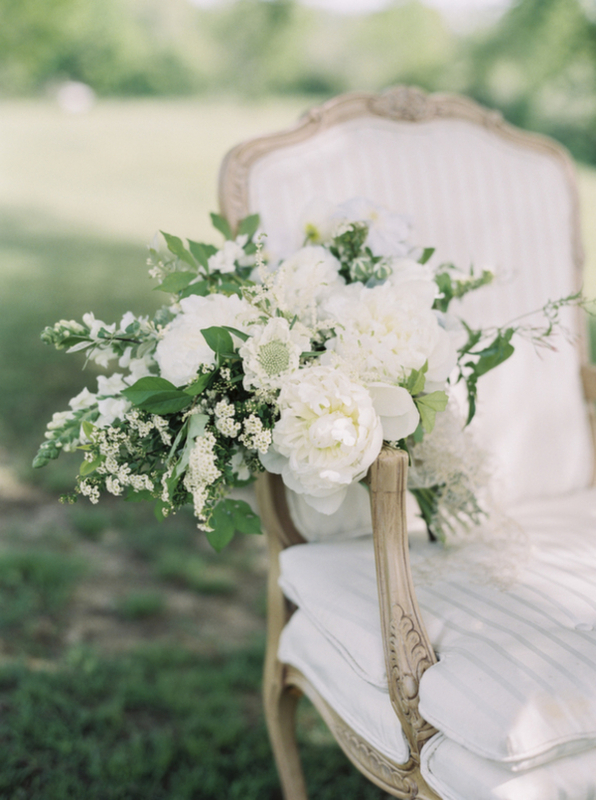 Transform even the simplest of chairs with some wooden signage and floral décor! 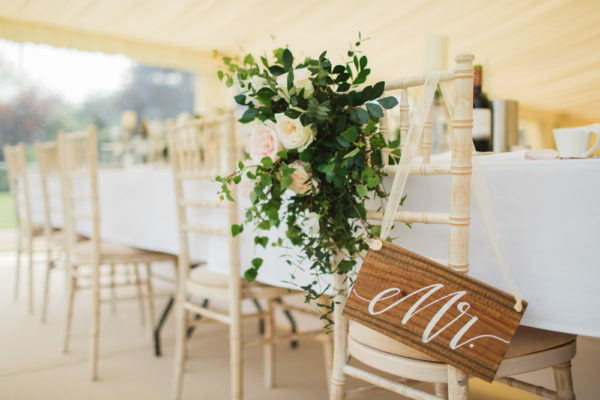 You could design some personalised signs to suit you both as a couple, they’d look fabulous as part of your home décor after the big day. Your team of ‘maids will look utterly divine in an array of pretty pastel gowns and they’ll adore embracing the mix and match trend. Opt for muted tones of pink, lilac, lemon and baby blue! 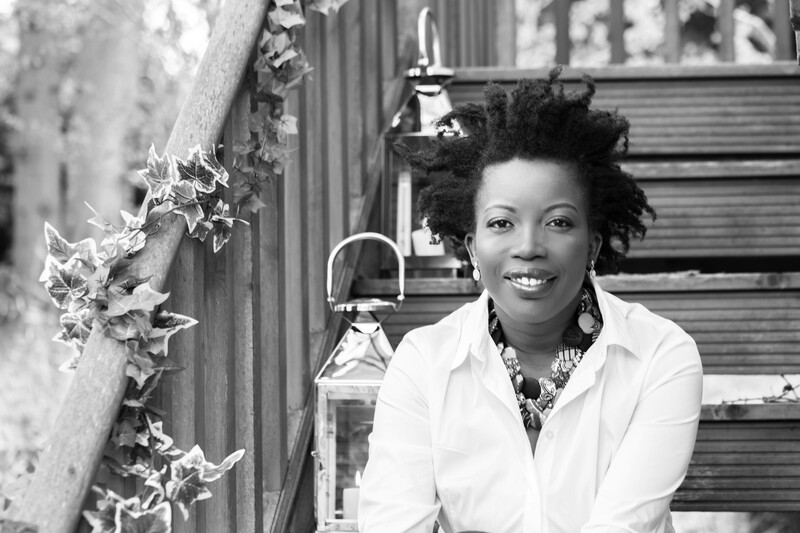 If you’re in need of a wedding planner and venue stylist to help you pull off the perfect day, get in touch with Lily & Lavender today! The ten points are very inspiring and very refreshing.